How many times have you written an email or an article and it was not fully understood? It happens to all of us. When you write a piece of content, you know what you really mean but in reality, others might get a difference “sense” or a different “emotion.” This could lead to misunderstandings or even worse, your message won’t be understood at all. Unfortunately, written communication is really different than verbal communication, that’s why it’s really hard to express yourself in written words. Our team of marketers and engineers combined artificial intelligence software with marketing and human behavior research to create a tool that will help you understand the emotion of your words. This will ensure that you are conveying your intended message every time. Watsonfinds will provide you insights about the emotional tones of your content that your audience may perceive as they read it. You can rely on these insights to modify and improve every word until you get the content that will emotionally inspire the reader to meet your objective. How does Watsonfinds Analyze my content? 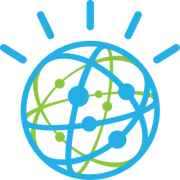 More than looking for keywords as a search engine does, Watson’s algorithm can actually read and interpret a set of complete sentences, analyze the reader’s language, context and culture to understand the content like a human. By doing this, Watsonfinds can recognize the message and make a prediction on how it will be perceived by the human mind and what human feelings are going to infer. What are the Benefits of analyzing my content with Watsonfinds? Because written communication is the most common form of online communication, people are more susceptible to the emotions that a message can convey than the words that the message contains. As humans, when we read a text, we tend to focus on the tone to make a judgment about the meaning of the message and even the perception of the identity and personality of who created that message. With the insights that Watsonfinds will provide about your content, and forming a prediction of how the content will perform, you will enjoy the opportunity to adapt every word to make the right impression and infer the emotion you want on your readers. From writing an important email to a colleague that you intend to come across as confident and analytical, to creating an article that triggers joyfulness on the audience, Watsonfinds will improve the way you communicate to generate the results you expect. Watsonfinds started as a project based on IBM Watson as a pioneer system of cognitive computing to give you the power of artificial intelligence in your content. Thanks to the ability of IBM Watson to understand unstructured data (which is type of data we use to communicate as humans) you can get accurate insights about your content and know how it will be perceived by other humans. Watsonfinds is now powered by our own Neural Network classifier. Contact us if you need more information on the classifier. The world is ready for artificial intelligence. Utilize this technology so your content can make a bigger impact.